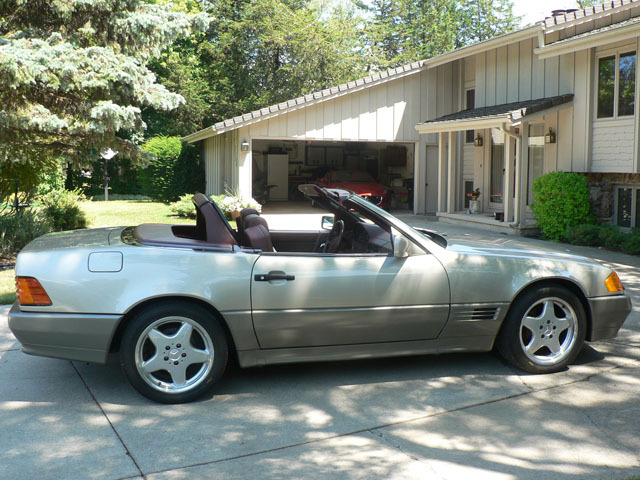 Mercedes 500 SL Convertible. 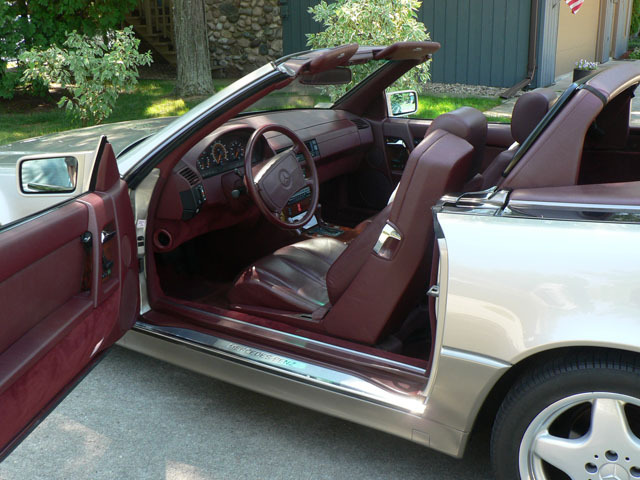 Smoke silver sports car with burgundy leather interior. 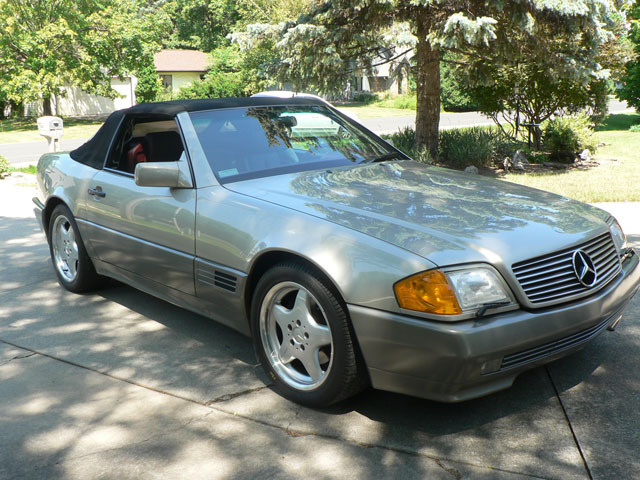 black convertible top plus a smoke silver hardtop..The original owner has meticulously cared for the car. It has original smoke silver paint in excellent condition, black convertible top plus a black hardtop on mobile rack with canvas cover like new. Upgraded 17" AMG wheels with Pirelli Pzero tires and the original factory wheels and tires. 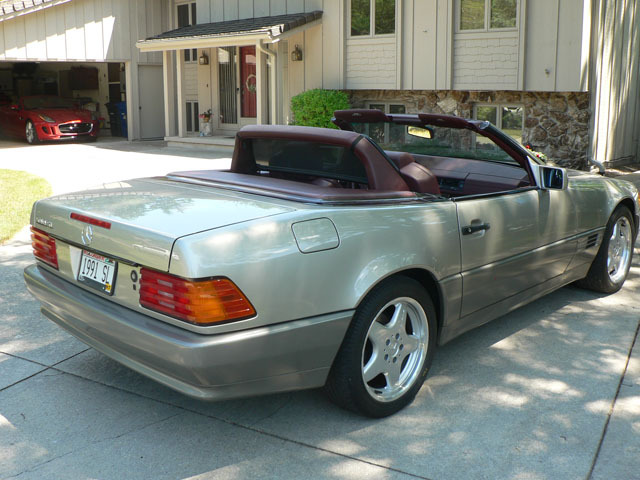 Car has never been driven in winter and been garaged with a Mercedes breathable car cover. The original purchase price for this car was 90,000. Your chance to own a collector car from its original single owner, low mileage, ready to drive in excellent condition with all the extras you want!